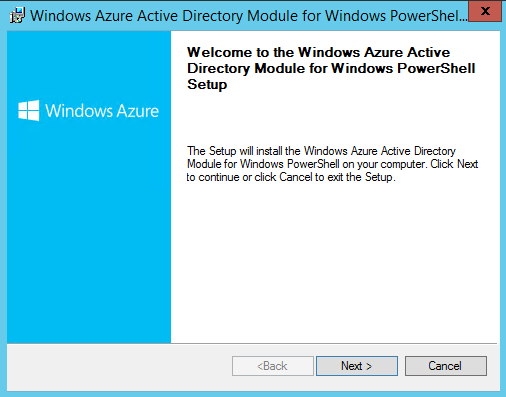 This is the part 2 of the series of articles which will explain the setup and configuration of windows azure active directory. If you still not ready it you can find it here. 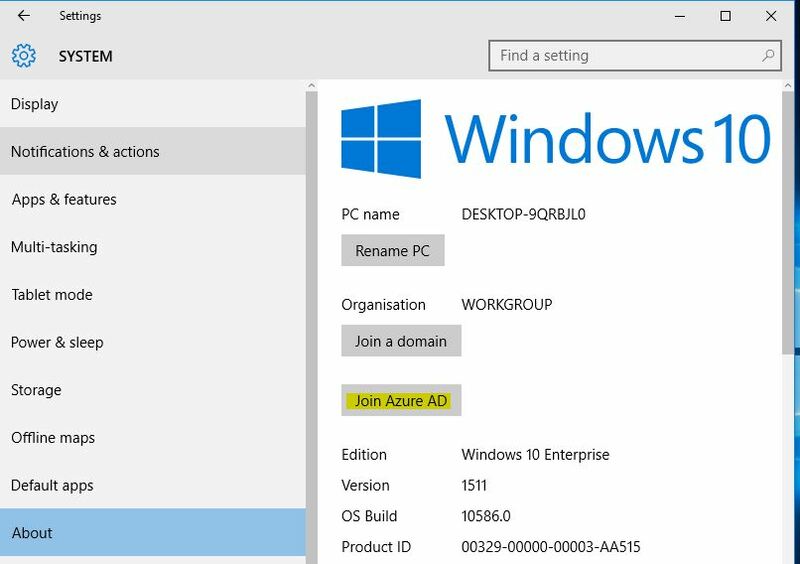 In part 01 we install a WAAD instance and add a domain. 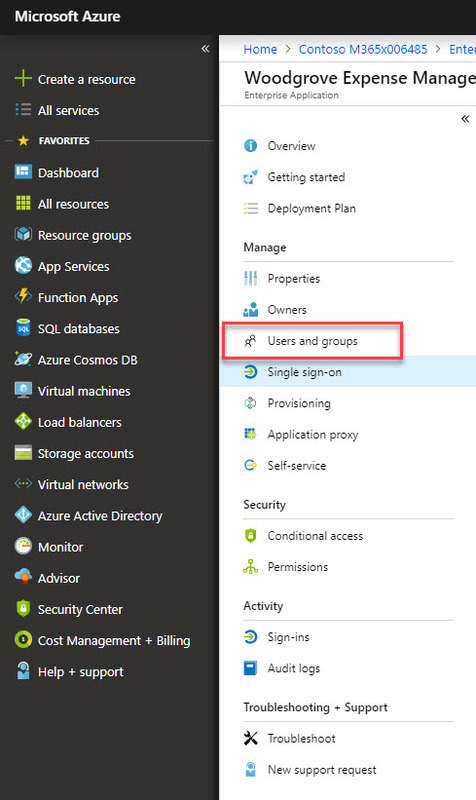 In this post let’s see how we can configure integration with local domain infrastructure. WAAD can integrate with Local AD on 3 way. 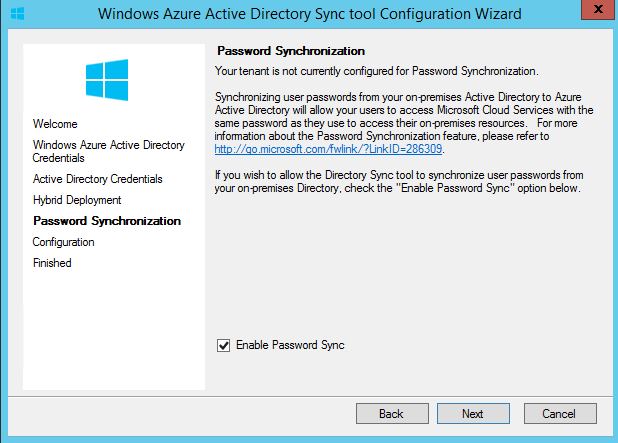 1) DirSync with Password Sync – Using this sync local users can log in to the windows azure service using same user name and password. 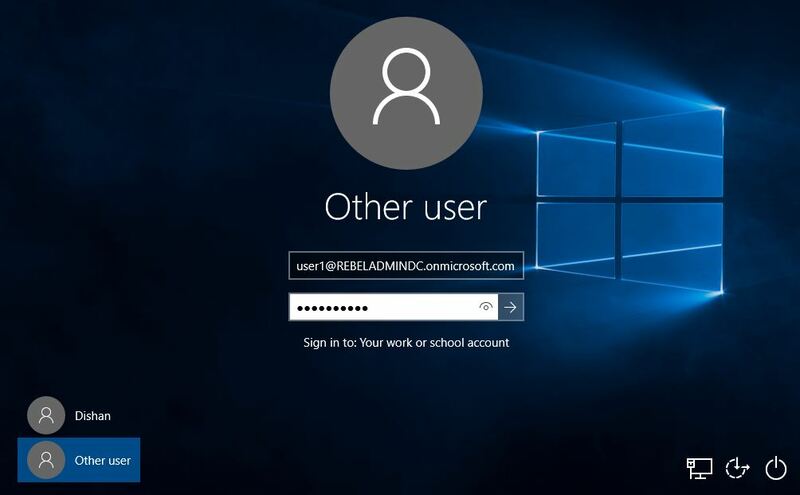 But this is only sync the password. 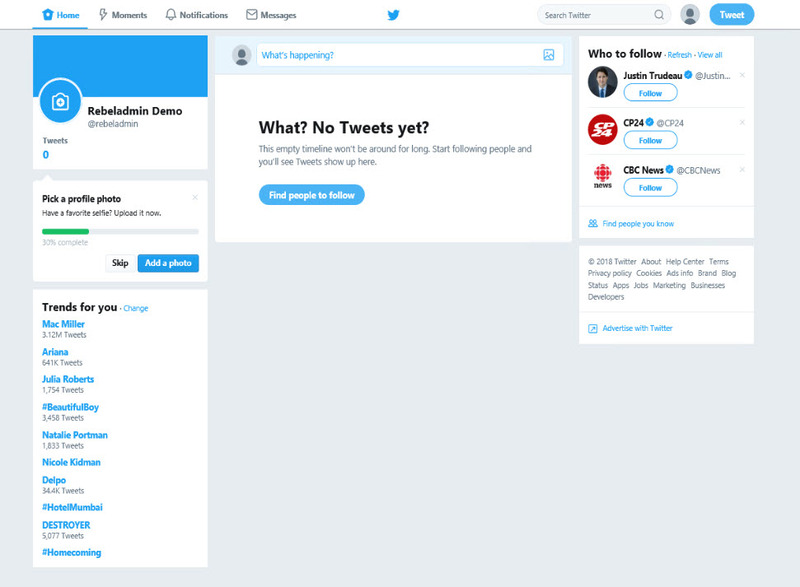 This is not providing SSO. 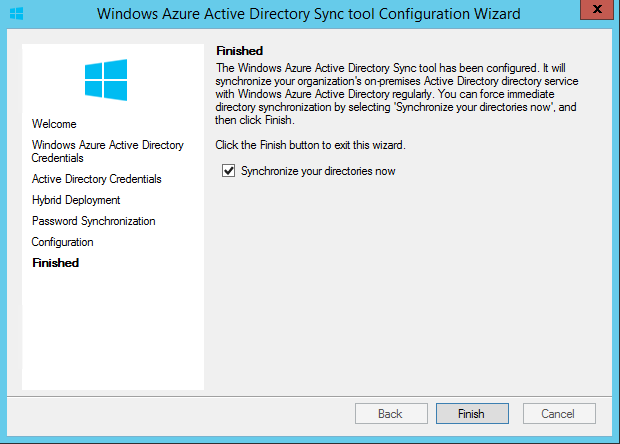 3) Multi-Forest DirSync with SSO – This is very similar to the above option but this is works with multiple forest infrastructure. 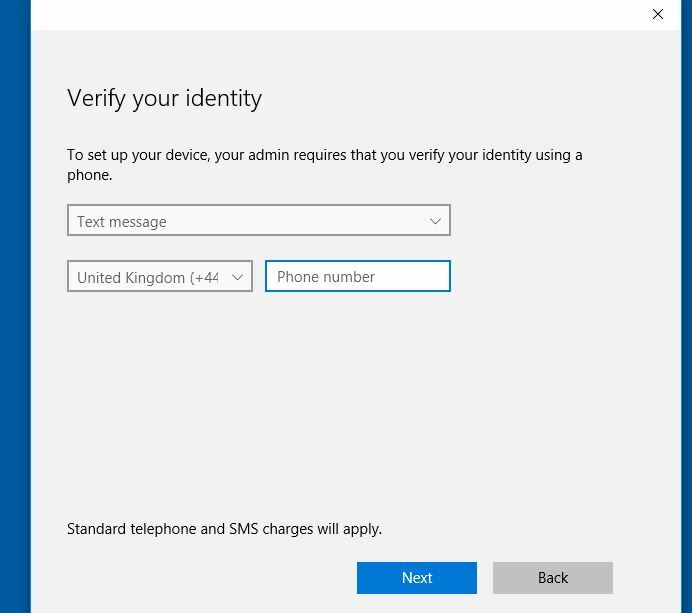 It’s quite complex but still seamless method for authentication. 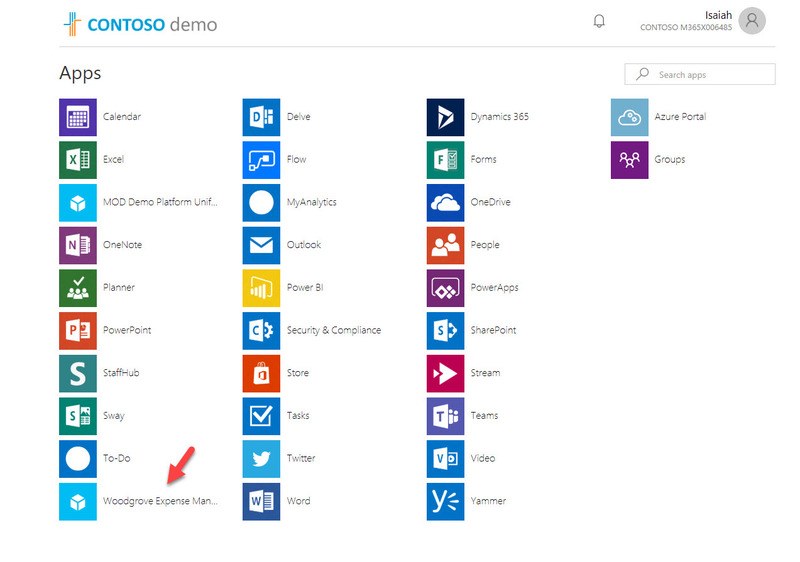 In this demo I am going to use DirSync with SSO option. 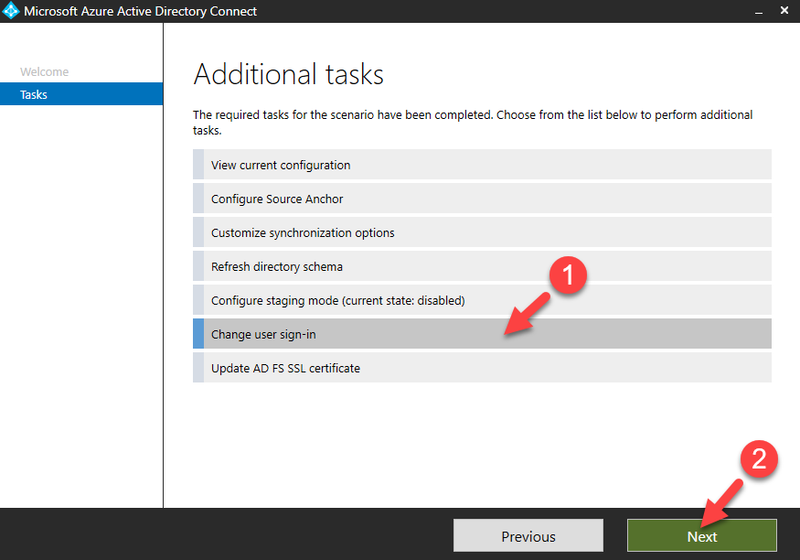 I will be using AD FS as the STS. 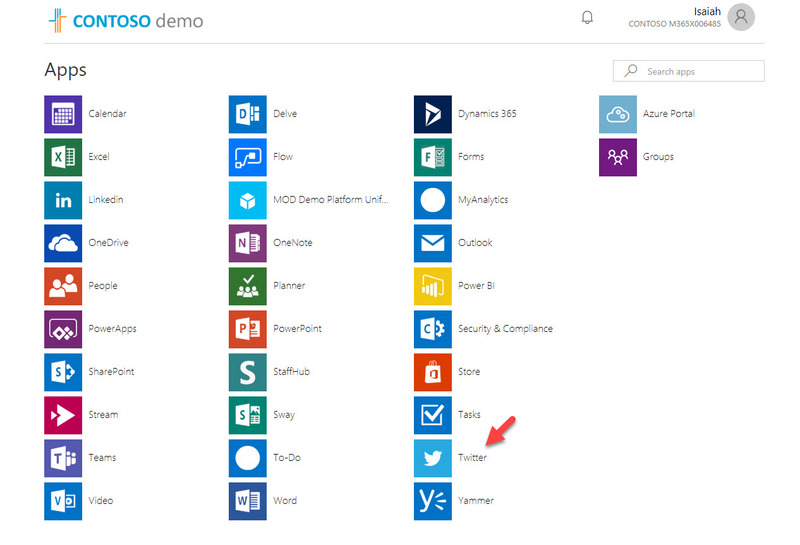 This provides SSO experience for users to log in to local resources as well as cloud services. The detail check list for this process available on here it includes detail description about all the steps. Here I list few major points which you should consider. 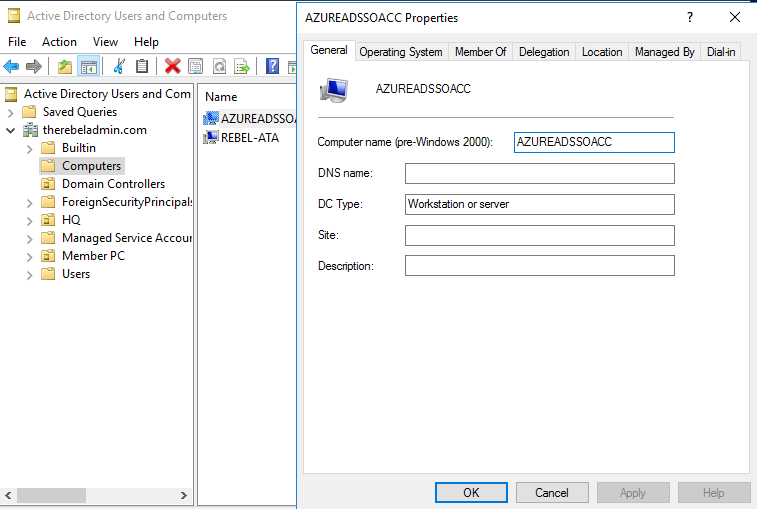 2) AD must be running with windows server 2003 R2 or greater. 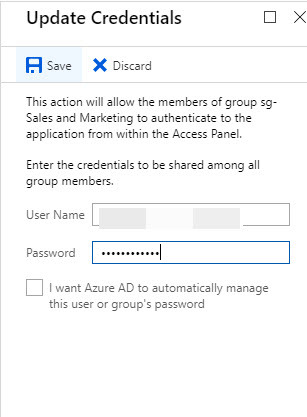 3) Based on the STS model you will need use the WAAD module for windows PowerShell to establish federation trust between azure AD and local AD. 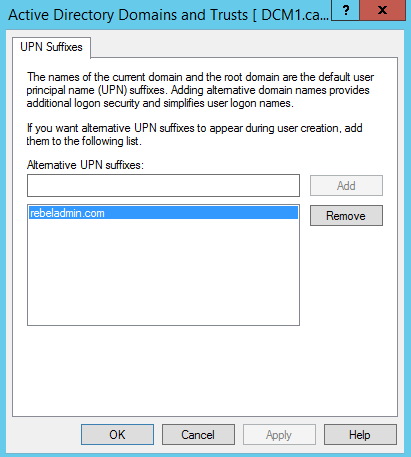 Before the integration process I add UPN suffix with public domain name to use for SSO. 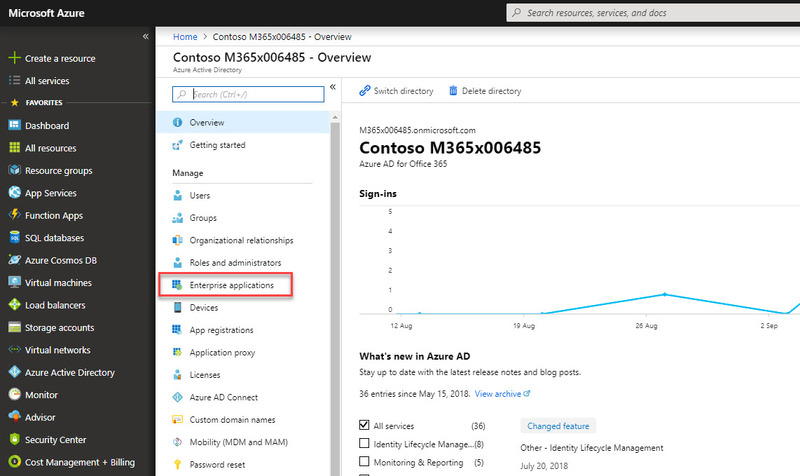 I also match it with the domain I added in Azure AD instance. 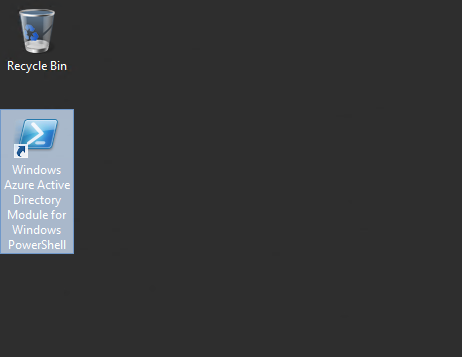 Once download completes, double click on the installation file. Click next to continue. 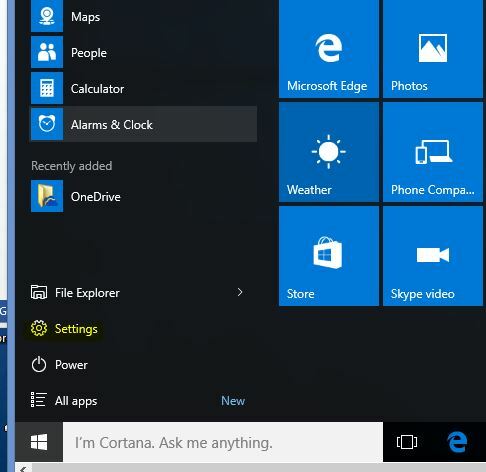 In next window accept the terms and click next. 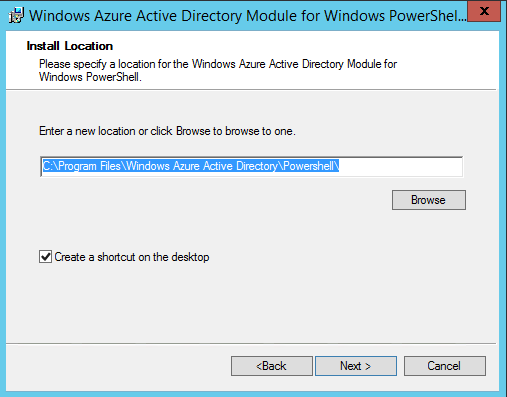 In next window select the installation path and click next. 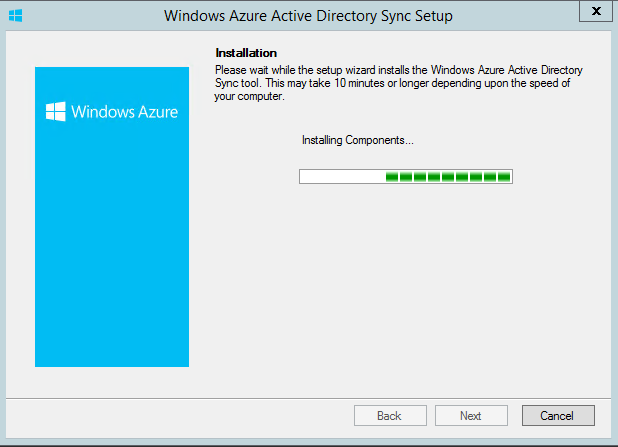 Then click install, to start the installation process. 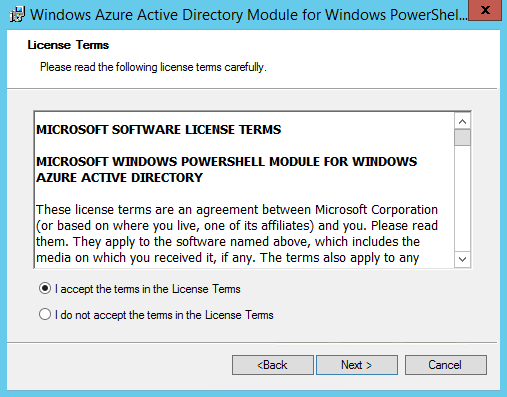 Load the PowerShell module we installed on above step. 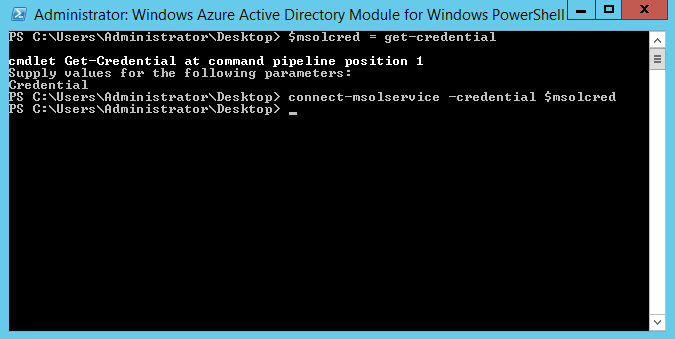 Run $msolcred = get-credential command. 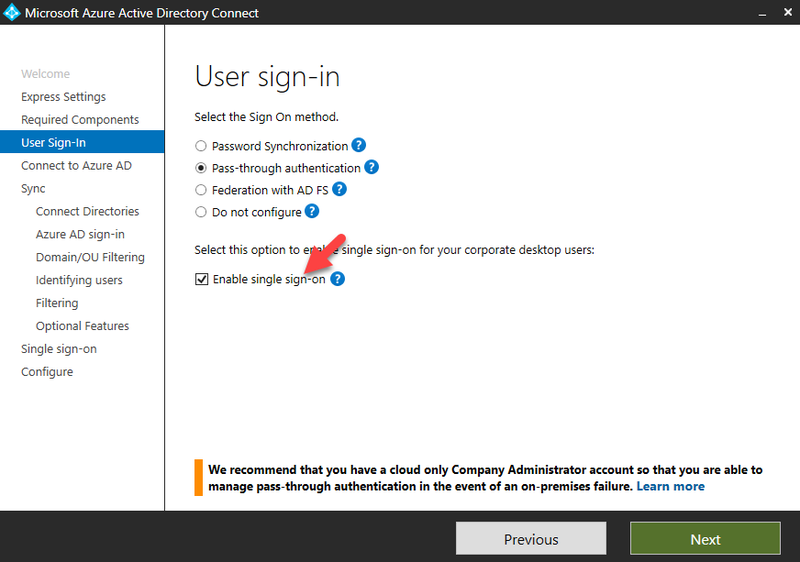 Once it prompt for the login, type the cloud administrator logins ( Global Admin user under the WaaD instance. 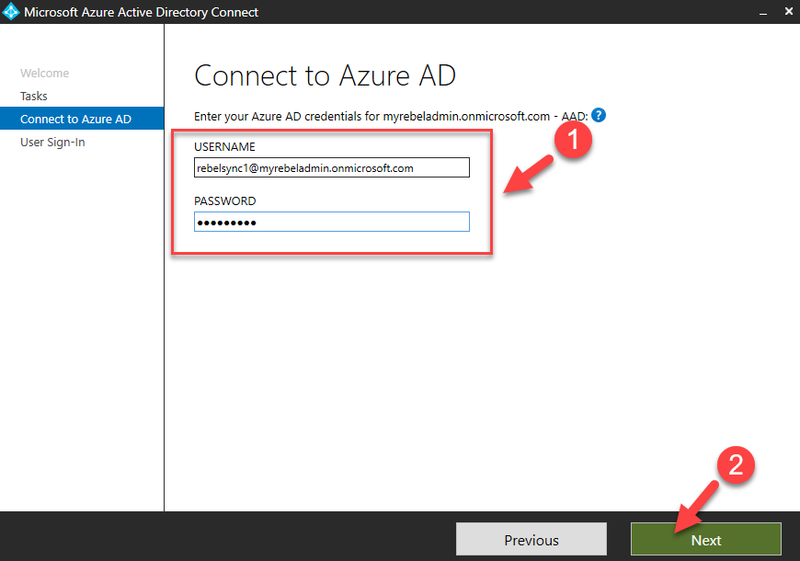 Then run connect-msolservice -credential $msolcred and it will connect you to the Azure AD. 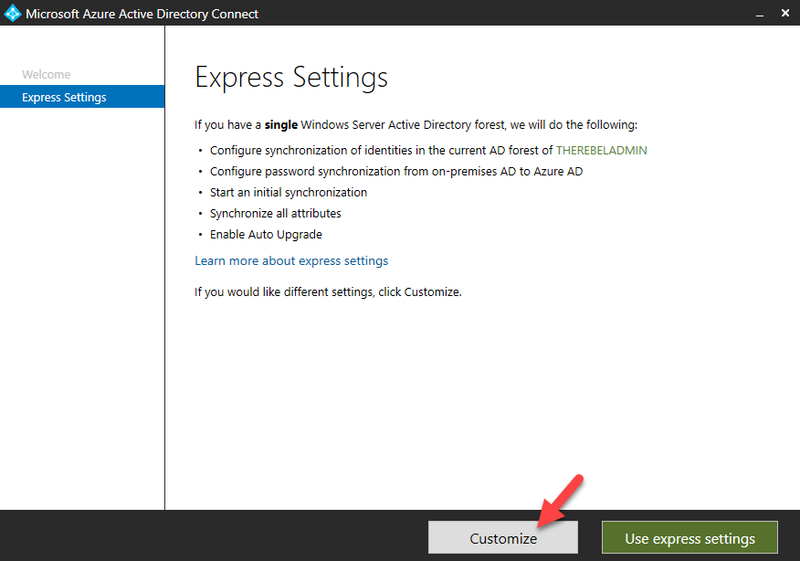 If you are executing this commands from different server than AD FS server you need to run Set-MsolAdfscontext -Computer <AD FS primary server> . 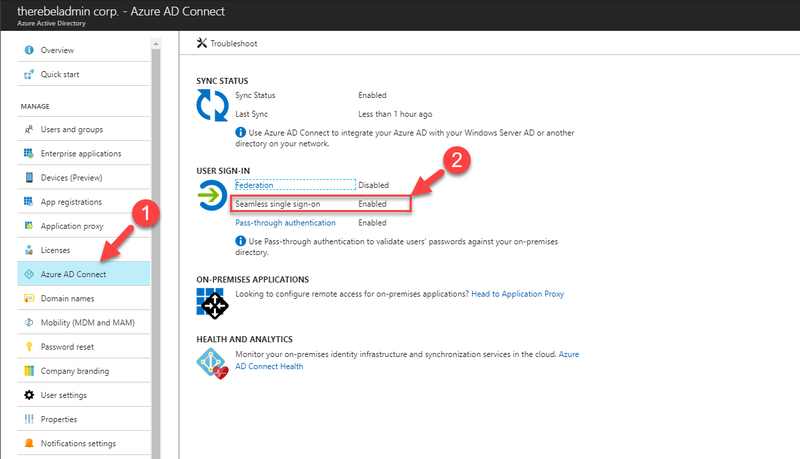 You need to replace <AD FS primary server> with AD FS server FQDN. 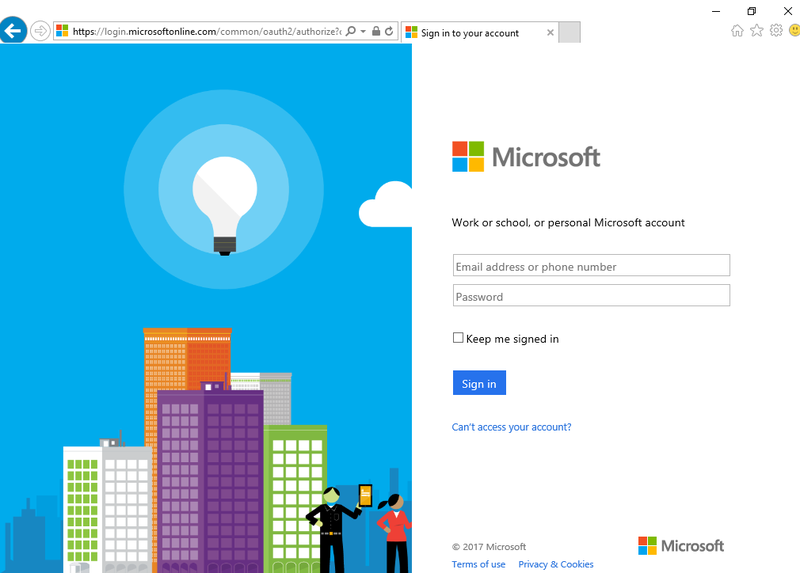 Then run New-MsolFederatedDomain –DomainName <domain> and <domain> need to replace with domain name which will use for SSO. 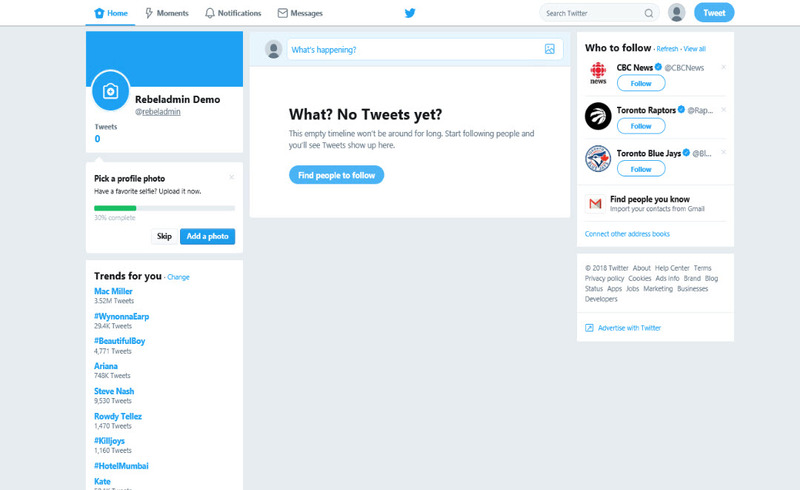 Then you will get error similar to following. 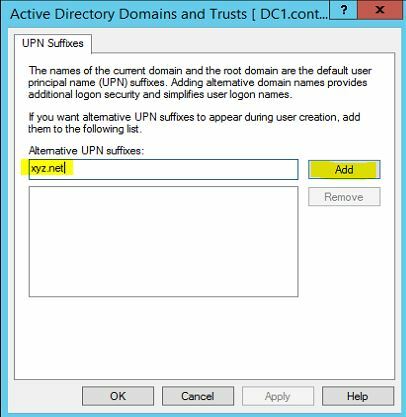 As it says we need to create proper DNS entry on our public DNS zone. I go ahead and created it as error says. 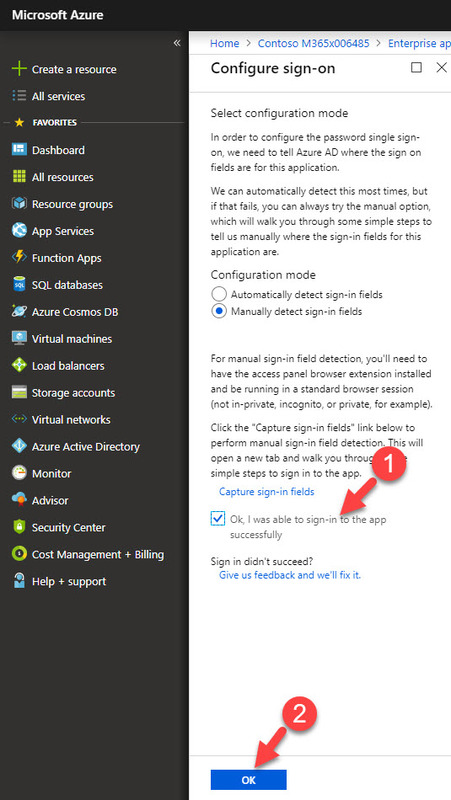 Now we have create the trust between Azure AD and local AD. 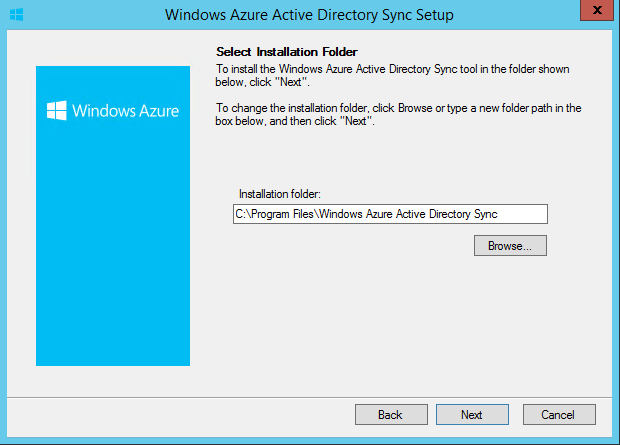 Next step is to do the sync. 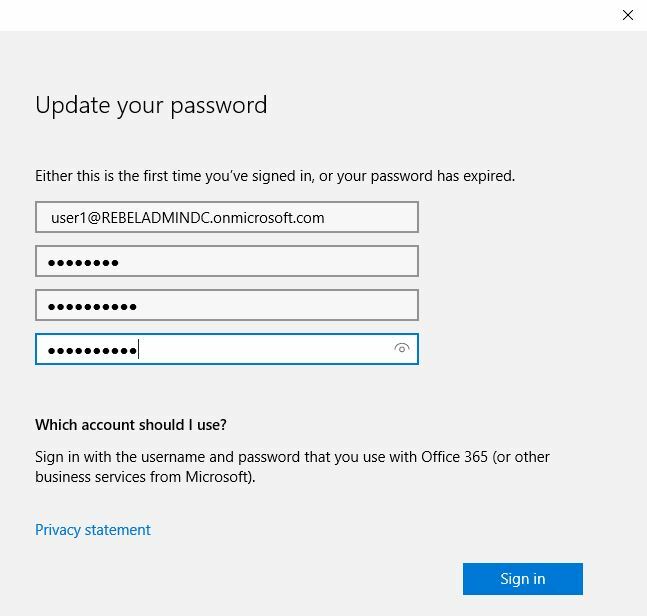 Go to https://go.microsoft.com/fwLink/?LinkID=278924&clcid=0x409 and download the DirSync Tool. Once download finishes, double click on it. Then click next to continue. 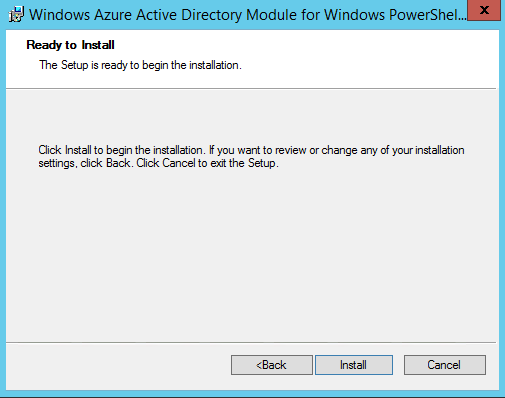 In next window can specify the installation path. Once done click on next to continue. Then it will start to do the installation. 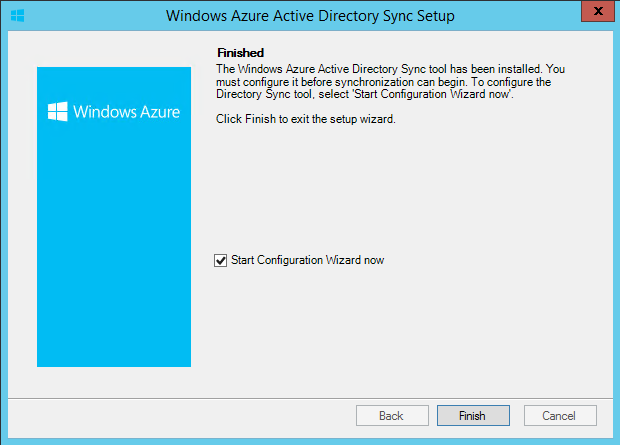 Once it finish select the option to “start the configuration wizard now” and click finish. 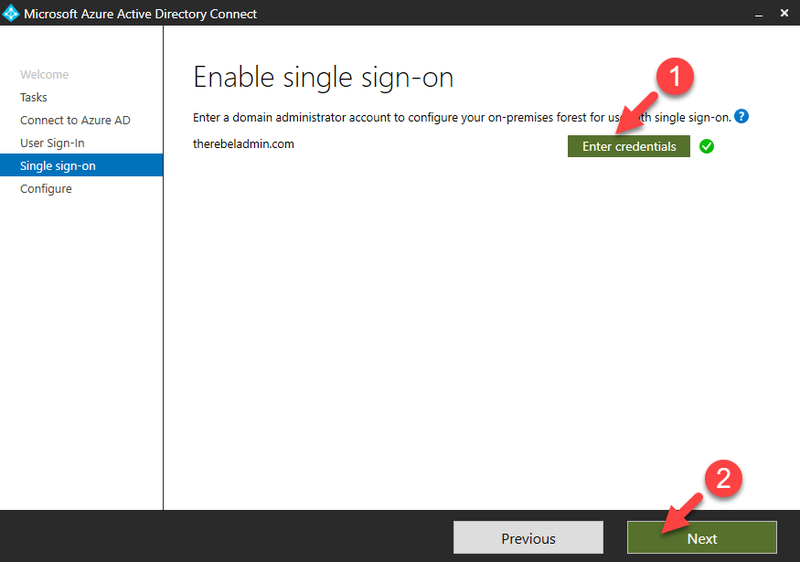 Then it ask for the Azure Ad credential. 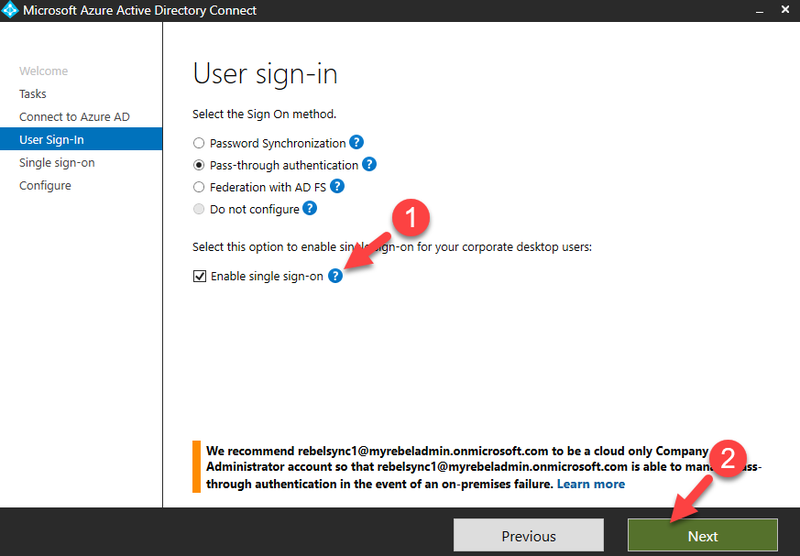 Provide the cloud administrator account info and click next. 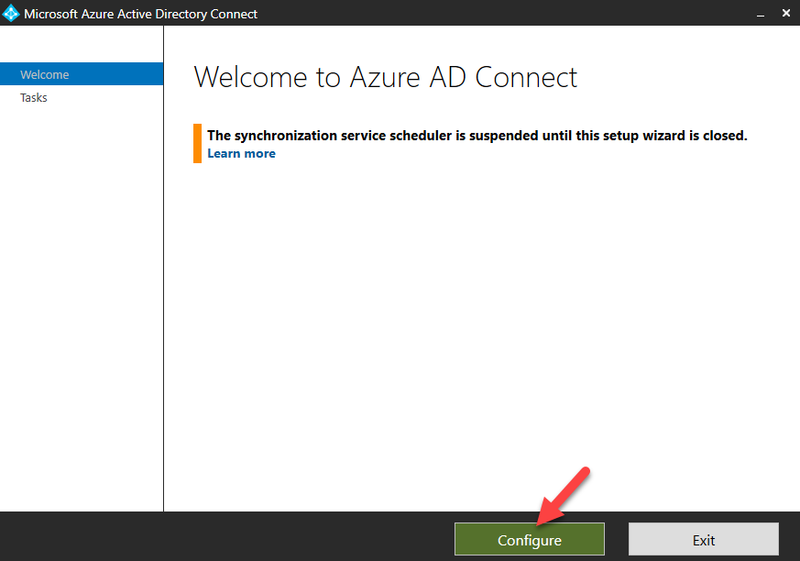 If you not set the directory sync to activate state in azure you will get error. You must activate it before continue. 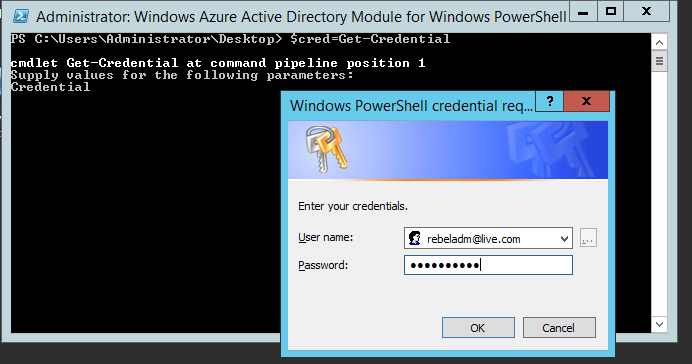 In next window it ask for local AD enterprise admin credentials. Once done click next to continue. 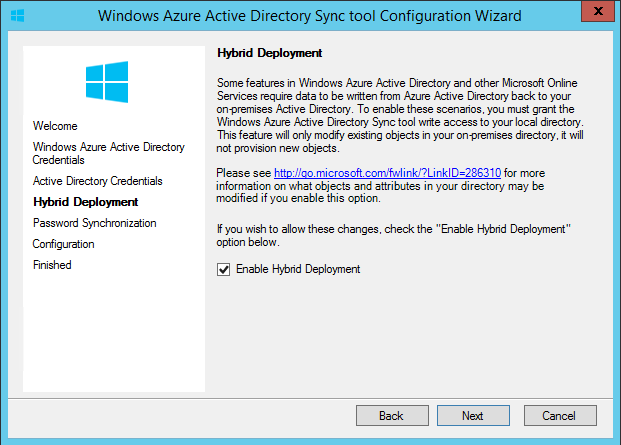 In next window it asks if need to enable hybrid deployment. 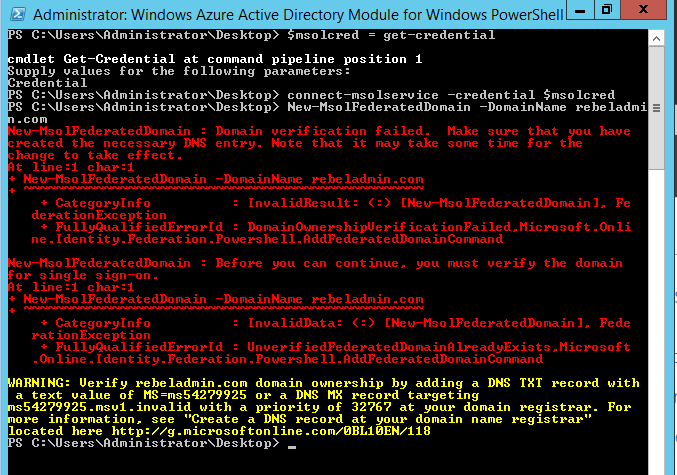 In here we giving permissions to azure AD to write changes to local AD. If you wish to allow, select the option and click next. 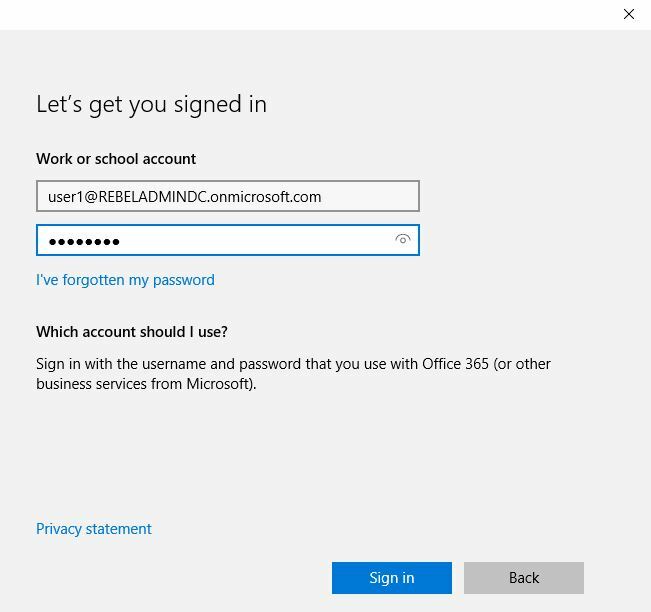 Then it ask about password sync. 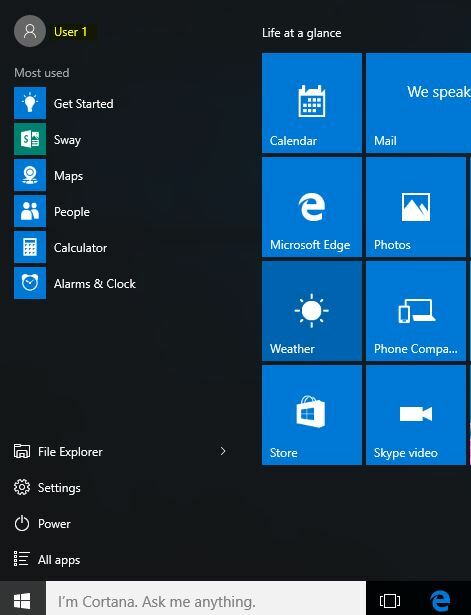 It is required feature so I enable it and click next. Then it starting the configuration. Once its completed, click next. 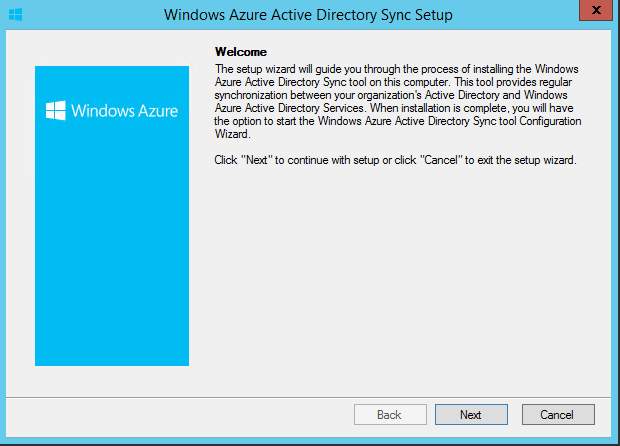 Then it gives option to start the sync now. Click finish to start the sync. 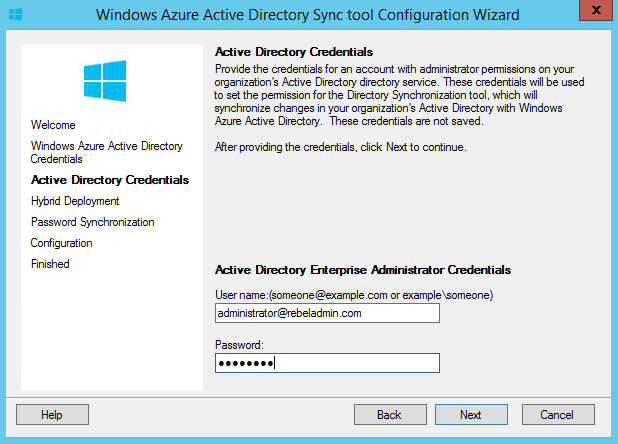 Once sync is done we can see azure AD updated with user accounts etc. 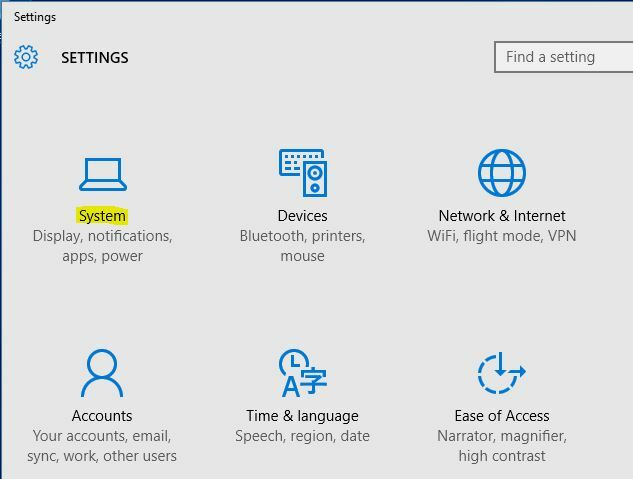 Also Directory integration page shows when was the last sync happens etc. 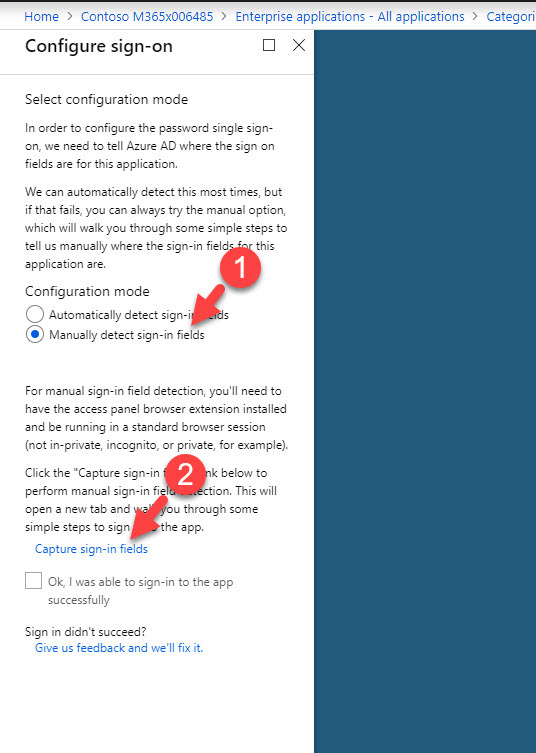 This ends the long article which were explaining the DirSync configuration with SSO. 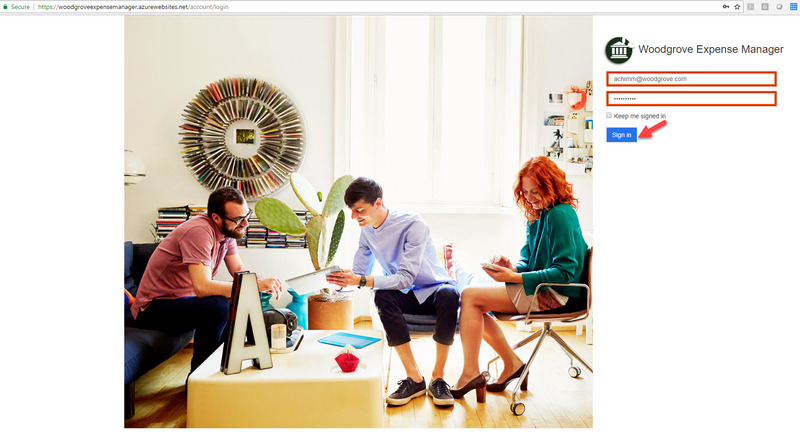 In previous article I explain the difficulties had on “cloud” to extend organization’s identity management. 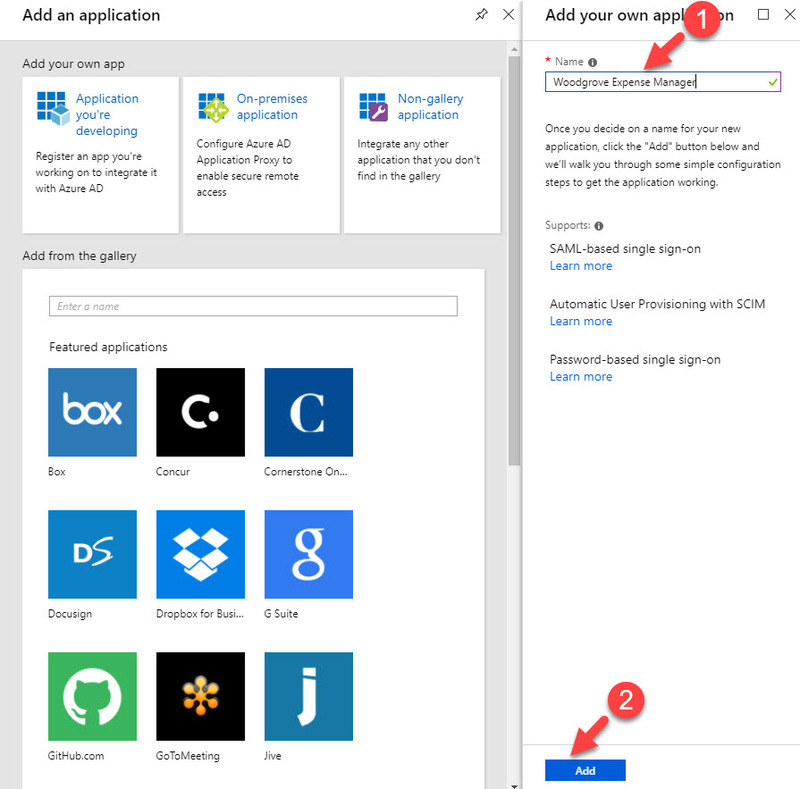 Therefor most of the applications, services on cloud used to have their own identity stores. 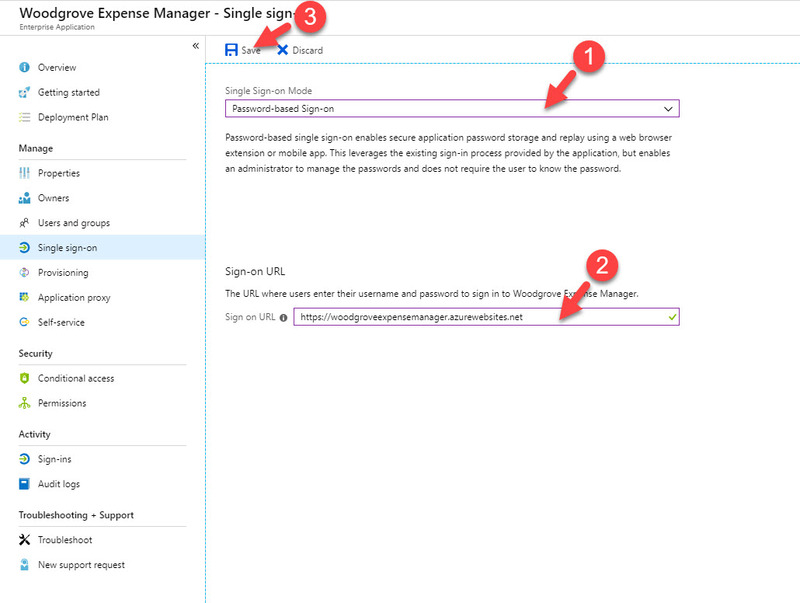 With Windows Azure AD, it allows to extend the local infrastructure identity management to the cloud seamlessly to allow users to get self-service capabilities and single-sign-on access. 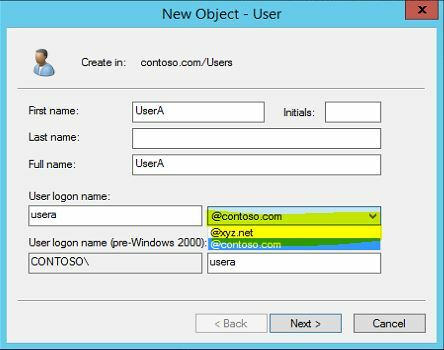 So end users no need to worry about the way they can access organization’s resources, services etc. 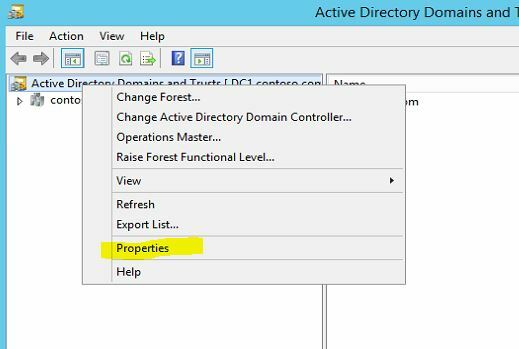 or where it’s located (on-premises or cloud). 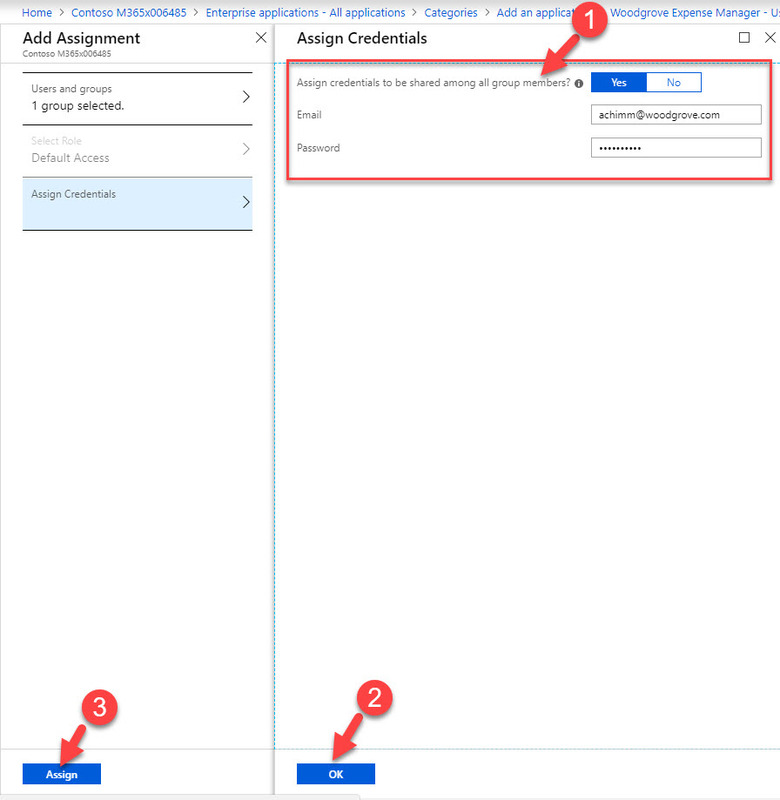 In before when deal with identity management in hybrid cloud setup, most of time you need to “replicate” the setup on cloud and on-premises in order to get them work with proper access control. 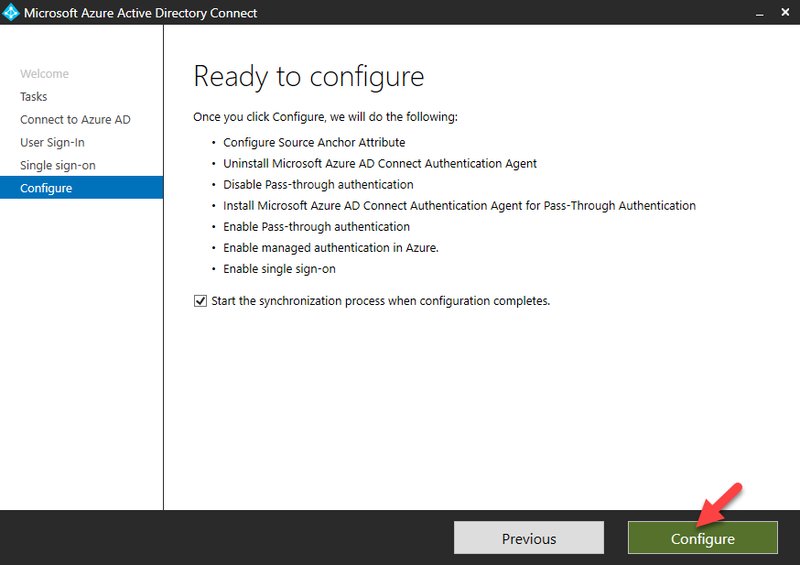 But Azure AD allows to “sync” with existing system and allows to control access management in central location. 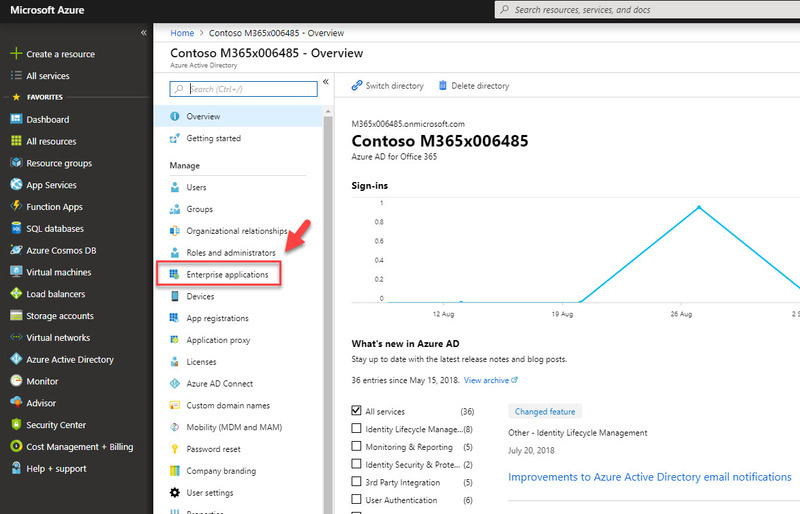 Windows Azure Active Directory provides centralized identify management for office365, windows intune, over 1000 SaaS applications. 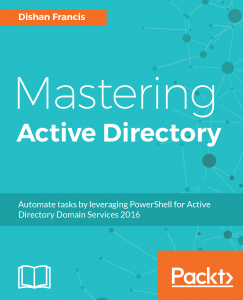 Not only that it provides techniques, tools to integrate your own cloud-based application or services. 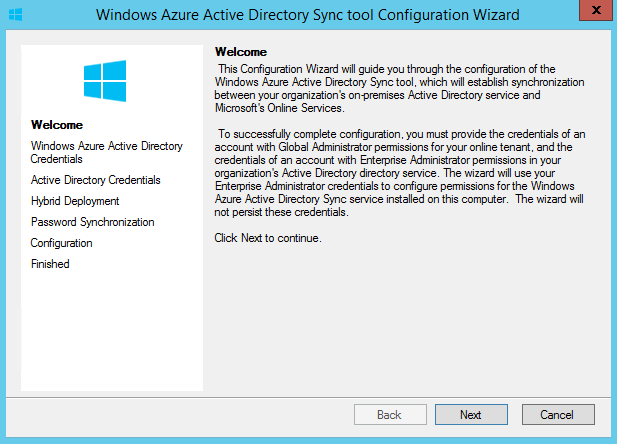 It also allows to “sync” with in-house active directory environment using “DirSync” and AD FS (Active Directory Federation Services) features. 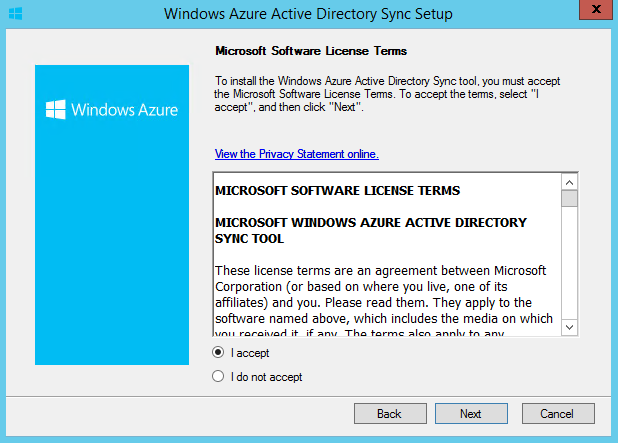 Currently there is 3 versions of Windows Azure Active Directory. 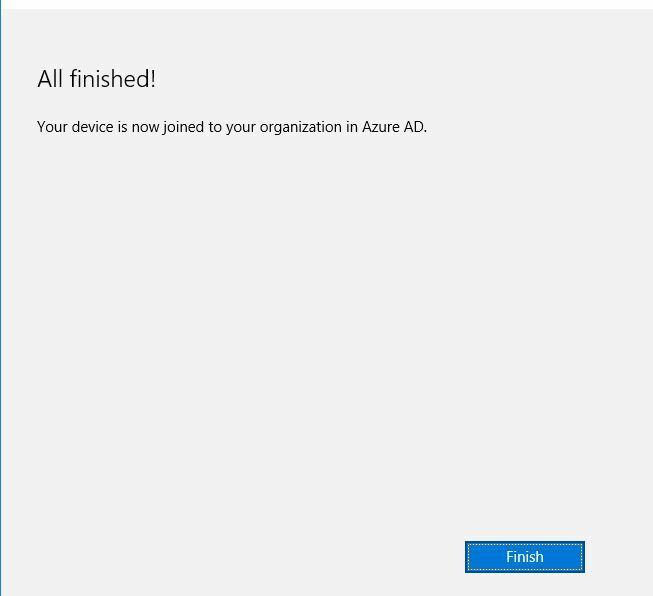 Free – Free edition allow you to sync with in-house active directory environments, get SSO with Azure services and thousands of Saas applications. 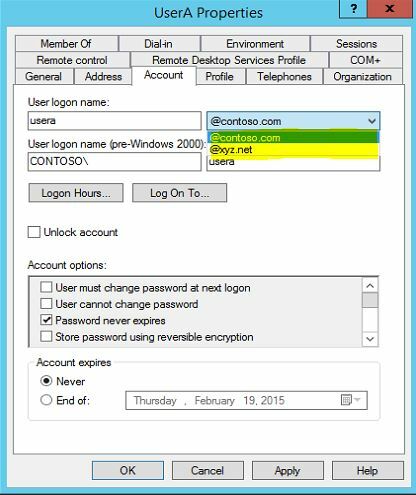 Basic – This version gets all the features of free version plus group-based access management, self-service password reset, windows azure active directory application proxy to publish on-premises web applications in to cloud. It also includes enterprise level SLA which guarantee 99.9% uptime. 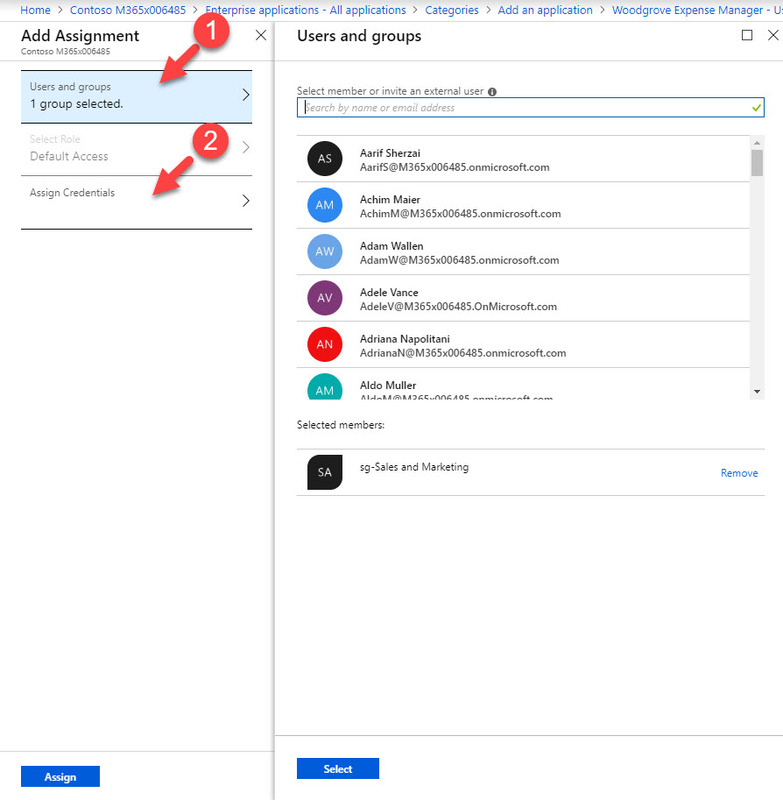 Premium – This version includes all the features of free and basic versions plus self-service group management, security reports and alerts, multi-factor authentication and Microsoft identity manager (MIM). You can get more info from following nice video. 1. 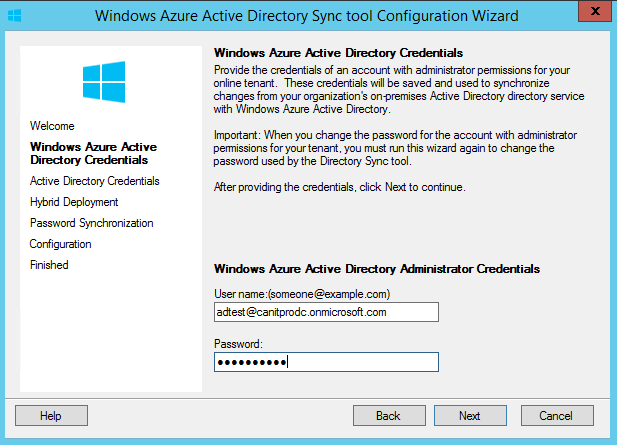 Centralized identify management – You can manage logins for AD or WAAD from any remote location and from any device. 2. 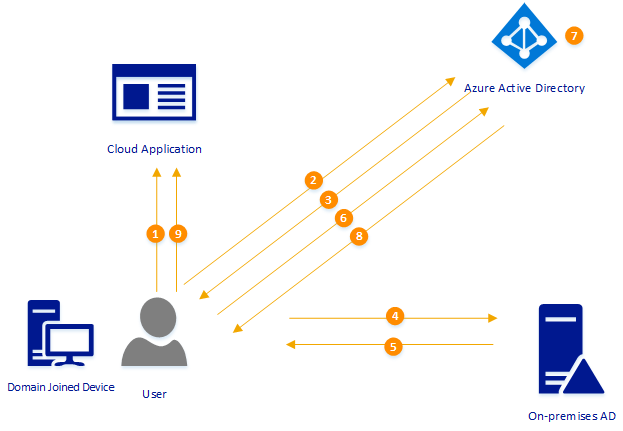 Advanced Access Control – you can set rules to control the access to cloud application and resources based on users, devices, locations etc. 3. 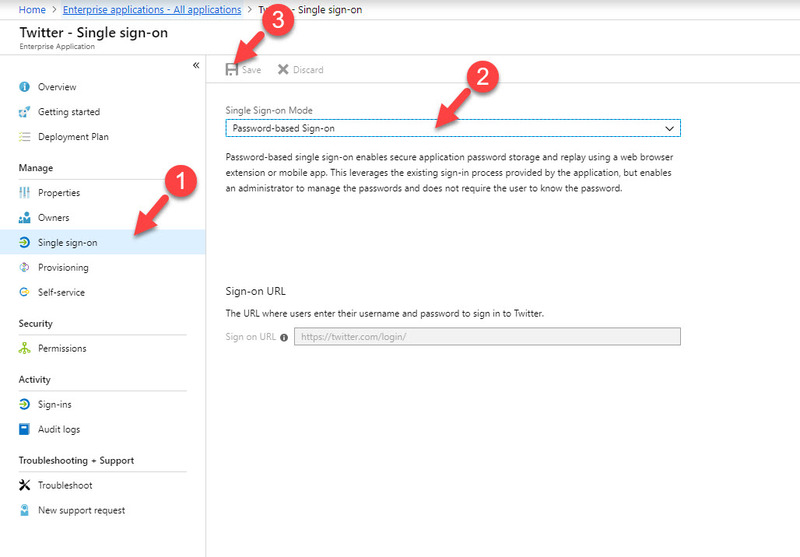 Single-Sign-On (SSO) – Provides SSO for cloud, on-premises resources and applications. 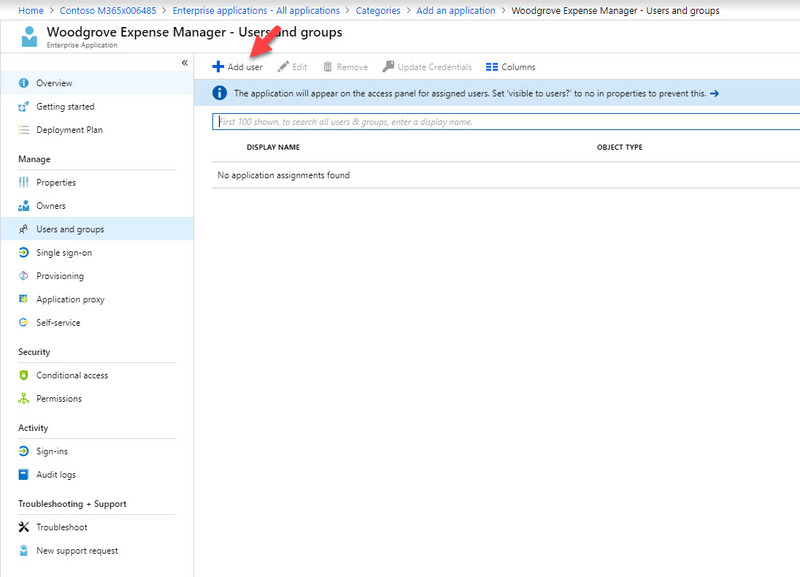 It also supports for thousands of SaaS applications available in market. 4. 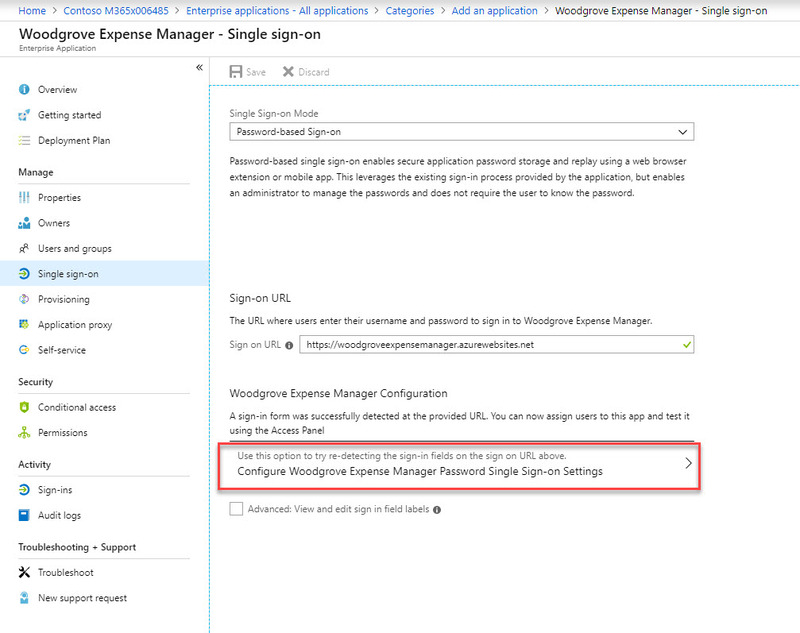 Application Proxy – we can allow external user access to applications published via in-built AD application proxy. 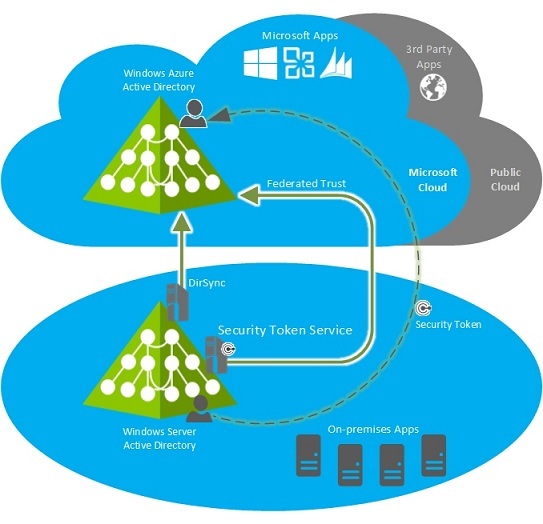 Its access can control via rules and policies according to company requirements. 5. 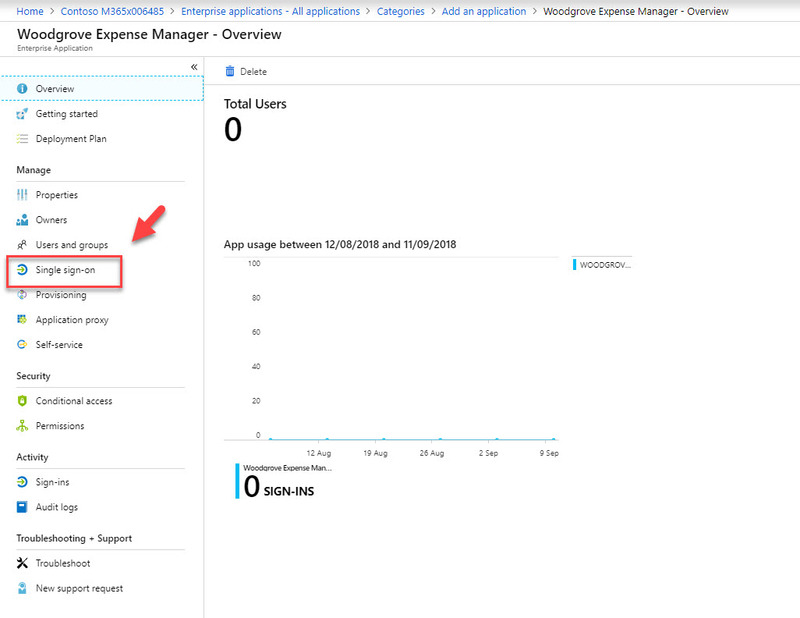 Advanced Reporting – It provides daily usage reports, access reports. 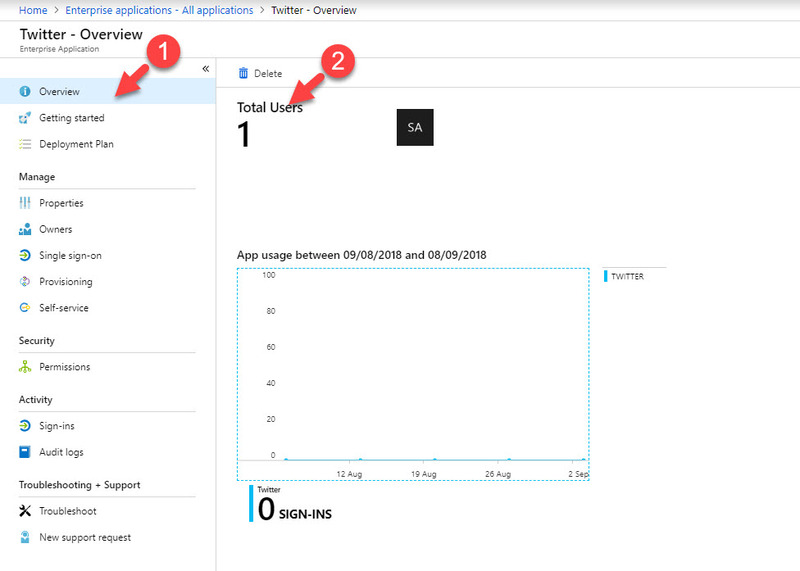 It also allow to use custom reporting based on azure Ad reporting API.